The Battle of the Coral Sea, fought during May 4–8, 1942, was a major naval battle in the Pacific Theater of World War II between the Imperial Japanese Navy and Allied naval and air forces from the United States (U.S.) and Australia. The battle was the first fleet action in which aircraft carriers engaged each other. It was also the first naval battle in history in which neither side's ships sighted or fired directly upon the other. In an attempt to strengthen their defensive positioning for their empire in the South Pacific, Imperial Japanese forces decided to invade and occupy Port Moresby in New Guinea and Tulagi in the southeastern Solomon Islands. The plan to accomplish this, called Operation MO, involved several major units of Japan's Combined Fleet, including two fleet carriers and a light carrier to provide air cover for the invasion fleets, under the overall command of Shigeyoshi Inoue. 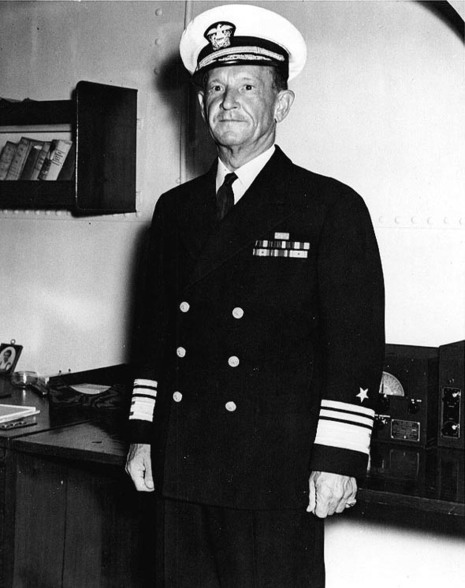 The U.S. learned of the Japanese plan through signals intelligence and sent two United States Navy carrier task forces and a joint Australian-American cruiser force, under the overall command of Frank Jack Fletcher, to oppose the Japanese offensive. On 3 and 4 May, Japanese forces successfully invaded and occupied Tulagi, although several of their supporting warships were surprised and sunk or damaged by aircraft from the U.S. fleet carrier Yorktown. Now aware of the presence of U.S. carriers in the area, the Japanese fleet carriers entered the Coral Sea with the intention of finding and destroying the Allied naval forces. Beginning 7 May, the carrier forces from the two sides exchanged airstrikes over two consecutive days. The first day, the U.S. sank the Japanese light carrier Shōhō, while the Japanese sank a U.S. destroyer and heavily damaged a fleet oiler (which was later scuttled). The next day, the Japanese fleet carrier Shōkaku was heavily damaged, the U.S. fleet carrier Lexington was scuttled as a result of critical damage, and the Yorktown was damaged. 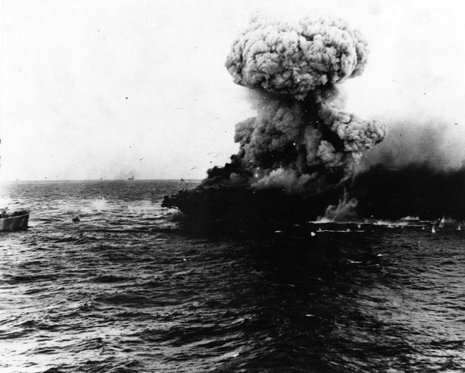 With both sides having suffered heavy losses in aircraft and carriers damaged or sunk, the two fleets disengaged and retired from the battle area. 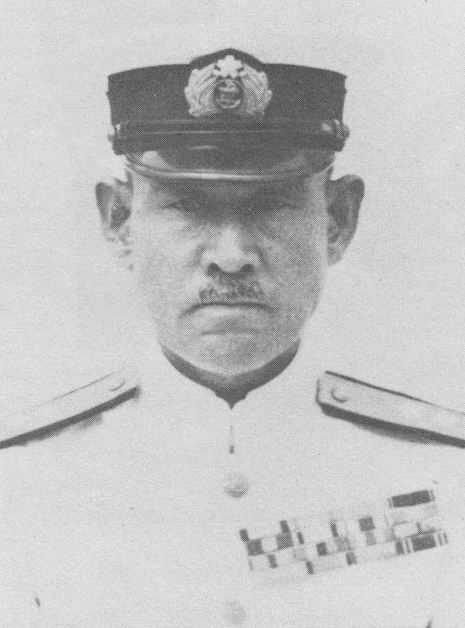 Because of the loss of carrier air cover, Inoue recalled the Port Moresby invasion fleet, intending to try again later. Although a tactical victory for the Japanese in terms of ships sunk, the battle would prove to be a strategic victory for the Allies for several reasons. Japanese expansion, seemingly unstoppable till then, had been turned back for the first time. More importantly, the Japanese fleet carriers Shōkaku and Zuikaku—one damaged and the other with a depleted aircraft complement—were unable to participate in the Battle of Midway, which took place the following month, ensuring a rough parity in aircraft between the two adversaries and contributing significantly to the U.S. victory in that battle. The severe losses in carriers at Midway prevented the Japanese from reattempting to invade Port Moresby from the ocean. Two months later, the Allies took advantage of Japan's resulting strategic vulnerability in the South Pacific and launched the Guadalcanal Campaign that, along with the New Guinea Campaign, eventually broke Japanese defenses in the South Pacific and was a significant contributing factor to Japan's ultimate defeat in World War II. The Battle of the Coral Sea, fought in the waters southwest of the Solomon Islands and eastward from New Guinea, was the first of the Pacific War's six fights between opposing aircraft carrier forces. Though the Japanese could rightly claim a tactical victory on "points", it was an operational and strategic defeat for them, the first major check on the great offensive they had begun five months earlier at Pearl Harbor. The diversion of Japanese resources represented by the Coral Sea battle would also have immense consequences a month later, at the Battle of Midway. 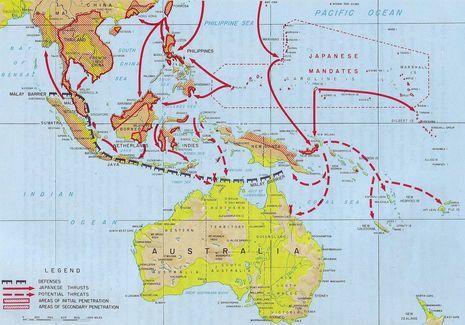 The Coral Sea action resulted from a Japanese amphibious operation intended to capture Port Moresby, located on New Guinea's southeastern coast. A Japanese air base there would threaten northeastern Australia and support plans for further expansion into the South Pacific, possibly helping to drive Australia out of the war and certainly enhancing the strategic defenses of Japan's newly-enlarged oceanic empire.